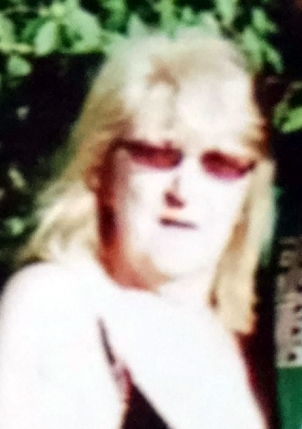 Marie Toth age 71 of Theodore, Sask passed away tragically on July 8, 2018. Marie was born at Brantford General Hospital in Ontario to John and Vanetta Henry. Together they lived and worked on a farm in Hatchley, Ontario. She graduated from Burford District High School and later received a degree in Horticulture at the University of Guelph, Ontario. She married John Toth and were blessed with two children Sue and Rob. In the 80’s they left Ontario and purchased a Greenhouse in Lac La Hache, BC until a tornado struck destroying everything and they were forced to leave. They left BC and made their way back and got as far as Theodore when their car broke down. Marie & John purchased a home on Main Street in Theodore in the fall of 2003 where they lived until John’s passing and son Rob was admitted to a group home. Marie was employed at Parkland Greenhouse in 2004 and then Yorkton Superstore and J’s Variety in Theodore until her retirement in July 2012. Marie spent many winters working and volunteering in the canteen at the Rink across the street. She was especially happy when she met Terry (Chief) Danyliuk in 2008 and together they looked after the large garden and many fruit trees and plants. She was devastated when Chief passed away suddenly in April of this year. Marie is predeceased by her parents, sister Reta Huys, and two brothers, John and Norman. Marie is survived by her son, Rob, and Sue (John) Kutzscher of Brantford, Ontario and two granddaughters Rowan and Hailey, both in University. The last six winters Marie volunteered in the rink canteen for the Rec. Board and thoroughly enjoyed the children that came for hockey practices and skating lessons. We will miss her smiling face in the rink in the coming winters and will be missed by her many friends she made over the years. Anyone wishing to make memorial donations, they can be made to Theodore ABC Daycare.